High performance products, inspired by your passion for perfection. That's the Autoglym way, always has been. 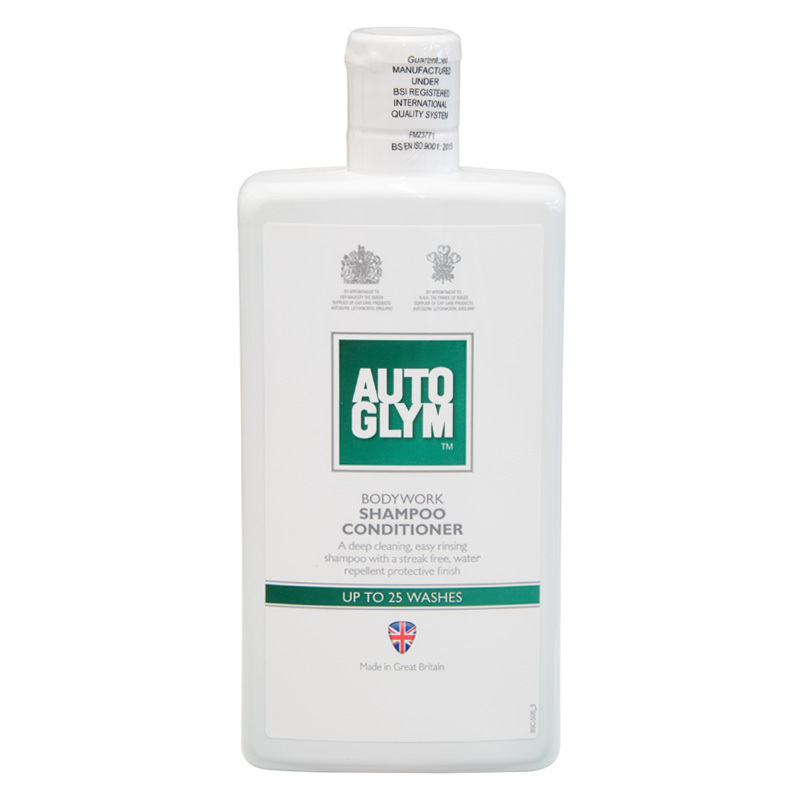 A clean car is a thing of beauty and it's easy to achieve with Bodywork Shampoo Conditioner, our hard working yet gentle, pH neutral shampoo. Our low foaming solution contains a water repellent film that causes rinse water to sheet off the surface, helping you to rinse and dry your car faster. Its active ingredients clean your vehicle without stripping away any polish or wax you have previously applied. Shake well. Pour I capful into a bucket and add 10 litres of warm or cold water. Hose bodywork to rinse away excess dirt. Always work on a cool surface, shampooing the car from the roof down. Do not allow the shampoo to dry on the car. Date First Available: Thursday 04 April, 2019.